Do you ever have the experience of reading or seeing something that completely describes you but that you’ve never quite recognized before? When I read Gretchen Rubin’s book The Happiness Project, one of her personal commandments was to “Spend Out” and she talked about how her natural inclination is to hoard things (new clothing, special foods, new toiletries, etc) instead of using and enjoying them. I always tend toward the saving for a special occasion, which, of course, often never comes. One thing about moving a lot is that I’ve gone through all my things a lot of times, and every time we move, I find so much stuff that I was “saving” that ended up never getting used at all. Makeup samples that now are long expired or markers that have dried up. In an effort to save things for the right moment, I ended up never using them at all. (We’ve been playing a card game called Loot that reminds me of this every time we play – there are these special cards that are really good cards, but if you hoard them too long, they’re almost impossible to use in the last round or two of the game. And it’s embarrassing how often we end up with them unused at the end and they’ve become totally worthless instead of wildly valuable). With back-to-school in full-swing over here, I’ve been thinking about this again as we get new school supplies, snacks and lunchbox items, and other products. I don’t want to put things away and find them in May when school is over and I’ve never actually used them the way they were meant to be used. I have the same mental block with smart home products where I worry about finding the PERFECT spot or use for them and then never use them at all. But when I got the Wemo Mini Smart Plug, I was determined to actually use it right away instead of being paralyzed by my desire for the perfect use for it. I took a quick mental tour of my house and realized it’d be useful in Ani’s bedroom since she wants her bedside lamp left on when she goes to sleep, but I don’t like to let it run all night long. Since she sleeps downstairs, plugging her lamp into the Wemo Mini Smart Plug means I can turn the lamp off from my smart phone while I’m in bed (or even with our beloved Google Home in the kitchen). Even better, I can put it on a timer, so it automatically turns off. Dear heavens, it’s amazing. 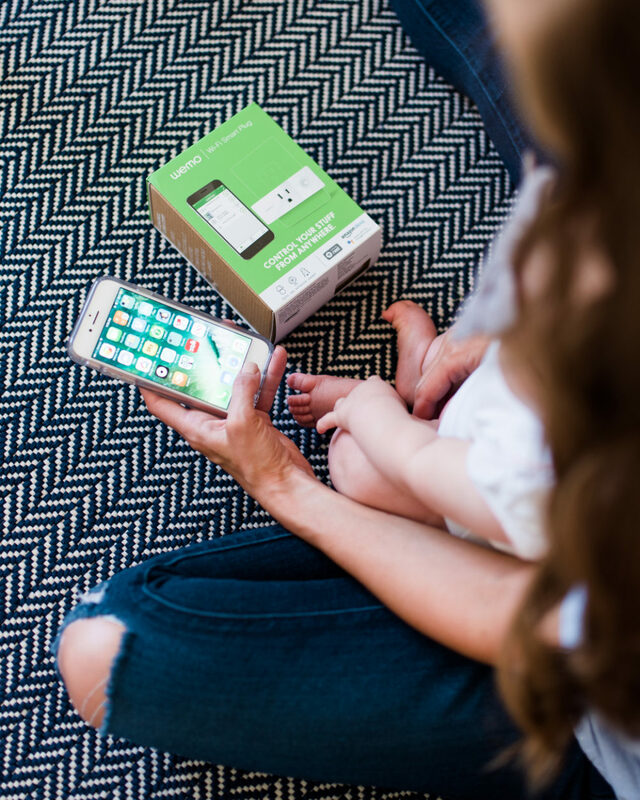 You can get 20% off a Wemo Mini now through Sept 30th with the code WEMOeverydayreading. I need to get one for Star’s room too, since she also likes to sleep with her light on. Here are a few other things I’m trying not to hoard (plus some exclusive coupon codes for back-to-school shopping). Hair products, obviously. With four girls plus my own long hair, I could keep a couple of salons in business all on my own, and if you come to my house pretty much any more, you’ll find me doing a line-up of little girl hair at the breakfast bar while they eat breakfast. 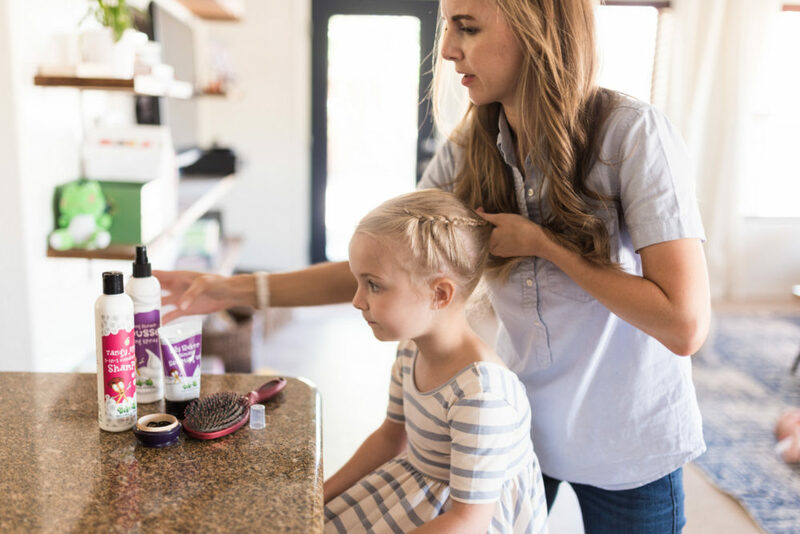 I’ve been on the look-out for kids haircare products for my girls, since I’ve mainly been using mine for the last many years on them and they weren’t ideal. I’ve switched over to the Snip-its Morning Miracle Mousse Styling Spray & Silly Slicker Ultimate Sculpting Gel for all the braids and ponytails I do around here (Ella, especially, needs a lot of product to keep her hair in place) and the Snip-its Tangy Apple 3-in-1 Conditioning Shampoo is a lifesaver for Ani since her long hair gets tangled really easily if I don’t condition in. Also, they all smell SO good. The Good Snacks. I’m buying way more snacks these days than I have in the past, thanks to my girls being in school, and I’ll admit I love trying new ones. And the girls make sure I don’t hoard them because they ask for them every day. 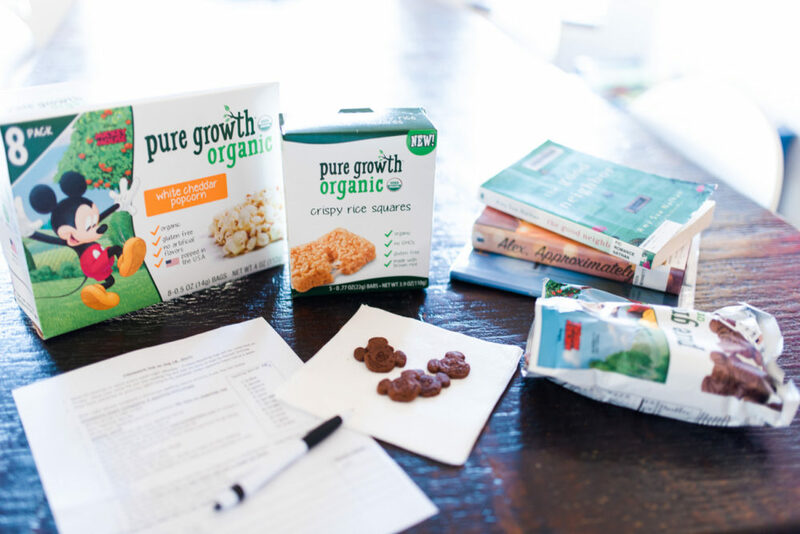 We tried out some of the Pure Growth Organics snacks, including the White Cheddar Popcorn and the Crispy Rice Squares, both of which were good, but hands-down my favorite were the Chocolate Animal Crackers in the shape of Mickey Mouse. I may have done the opposite of hoarding with those. . . (you can get 20% off with the code 2020BABBLE on Amazon). Well, when the doctor says. 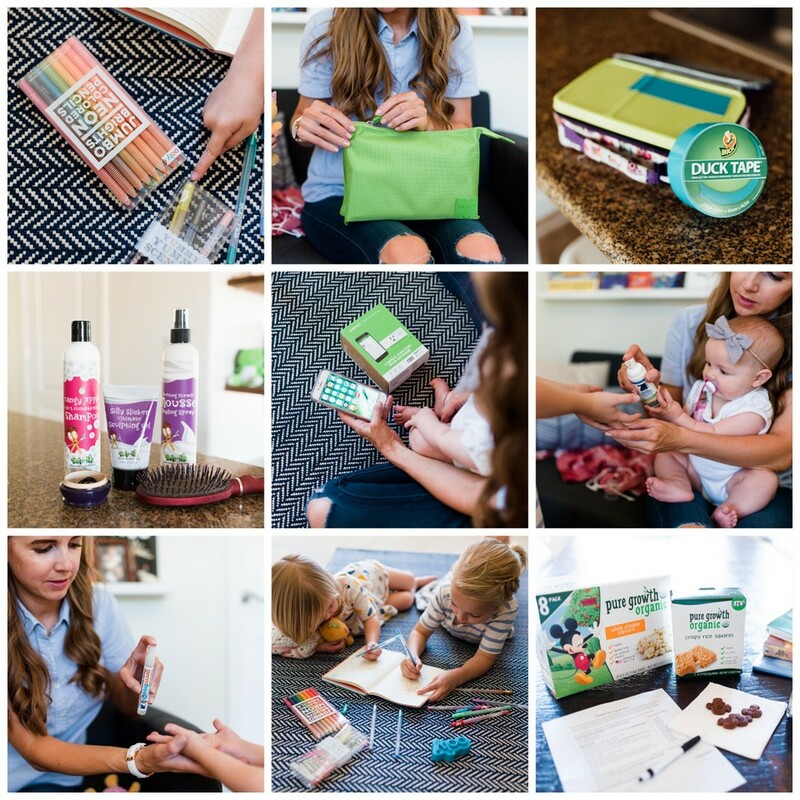 My girls think the foam Zoono GermFree24 Hand Sanitizer is so cool (to be honest, so do I – why is foam so fun?) and the spray is also really handy for keeping in my purse. Because after working in three different elementary schools myself, I always kind of feel the need to scrub my entire body off after being inside one. And hands-down, the category I’m worst about hoarding in is office supplies. I love all kinds of office supplies (I’ve actually never met a librarian who didn’t), from pens and notebooks to paper clips and folders. But a few months ago, when I was going through my desk, I found SO many old note cards and notebooks that had never been used. And these were NICE things that I’d been saving for who knows what, while I used pieces of scrap paper instead. So dumb of me. 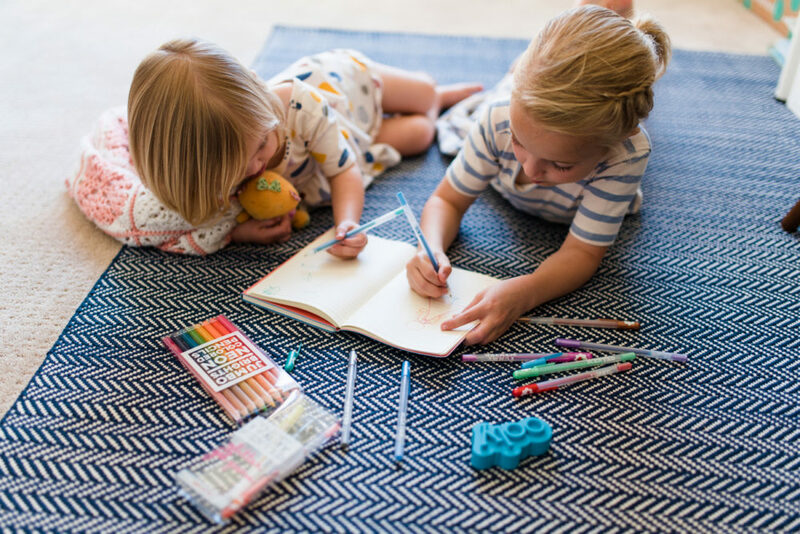 I was immediately smitten with this whole line of products from OOLY who makes really cute school supplies. The Mighty Zipper Pouch comes with Jumbo Brights Neon Colored Pencils (I love these and have been keeping them on my desk just because they look so good! 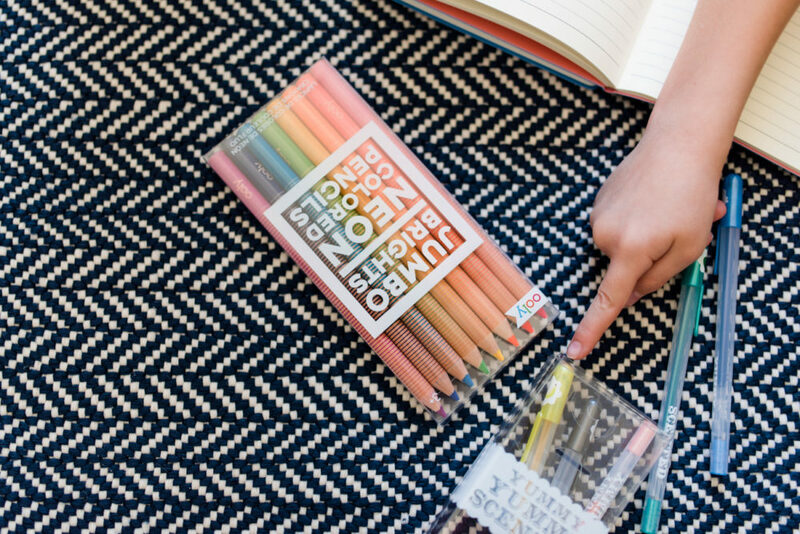 ), a 2-in-1 Flip Side Notebook, an OOLY eraser and their Yummy Yummy Scented Gel Pens which remind me of my childhood and the scented markers my sisters and I were obsessed with (15% Off Orders of $35 or more plus free continental US shipping with code ready). Of course, the girls were totally intrigued and begged me to let them use them. And in an effort to spend out, I let them have full reign and I got the best mom of the day award (fortunately, the competition is not steep). I’d rather them get well-loved and used up then waste away in a forgotten drawer (okay, I might have hoarded the pencils for myself). 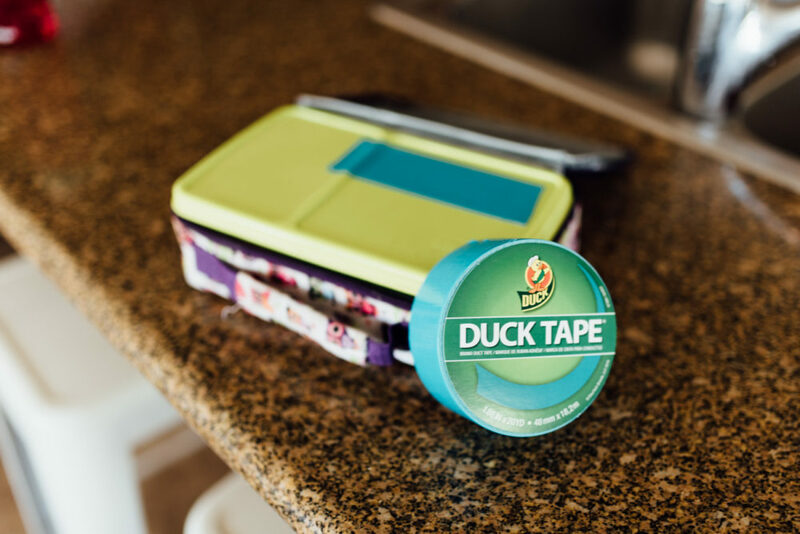 And I’m trying to enjoy using pretty things instead of saving them, like this teal Duck Tape which is so much more appealing than the standard silver. Similarly, I’m using up my washi tape instead of keeping it locked away in a drawer. When it comes to things I DON’T hoard, I’m not a clothing hoarder. I like to wear new things when I get them or as soon as they’ve come out of the laundry. Also, nail polish (in fact, when it comes to nail polish, my problem is that I want to keep buying MORE new nail polish instead of using up the ones I have. Which is why I have about 40 bottles of nail polish). What items do you hoard? And which ones do you not? That Wemo intrigues me, even though I have no use for it. I’m too much of a minimalist to hoard anything. I do have eight shoe box size containers full of embroidery floss, but I inherited that from my mom and I’m trying very hard to use it up. Boxes of embroidery floss sound so pretty! I am in the same boat! I can’t count the number of things I save for a special occasion that never comes. Office/coloring supply hoarding is definitely something I’m guilty of. As I was reading this I was thinking about the stash of colored pencils, crayons, and markers I have in my office that I haven’t let students use. I even bought them for students to use! I guess I need to read up on spending out so I can get over my hoarding tendencies. It was so eye-opening for me to read about it in The Happiness Project! Can’t wait to see your new house! You always do such a nice job. We just bought 2 of the Wemo plugs this past weekend! It’d be so cool to have them on every outlet, but we used them in the kitchen for our above-the-cabinet lighting. One of the outlets that was close enough for the lights (because we’re cheap and got rope lights) was behind the fridge. The lights would have to either stay on or we’d have to move the fridge to unplug them. The wifi outlet is the perfect thing for that type of situation. Plus I can tell my Google Home to turn them off and on…..it sounds like I live in a Smart House but I swear those are the only cool things we own, haha! I’ll have to think through all the plugs I have that aren’t easily accessible! This is such a good idea. I love my WeMo switches. Two of my favorite uses: our TV is plugged into one behind our media console. Last year I programmed it (via IFTT) to turn off every day at 10:45. Then if my afternoon kindergartener was watching TV it would click right off. No whining, no bargaining, the TV just did it itself and we had time to get ready for the bus. It still does it and it makes it nice. Our one TV is in the basement and I’m sure my kids would sneak TV time if they could. But now a parent has to turn it on from the WeMo app. Another favorite use was plugging my Christmas tree lights into a WeMo. Using IFTT again I set it up with our Nest. When my phone left home, the WeMo would turn off the Christmas lights and when my phone got home the Christmas tree would turn on and be glowing when I walked in. No climbing behind the tree at night to unplug lights either. Quick click and the house was dark.